Last year there was a significant gap between business leaders’ optimism around the possibilities presented by Industry 4.0 and their companies’ “actual readiness to influence and harness those opportunities”, according to Deloitte New Zealand CEO Thomas Pippos. Pippos added that a year later, business leaders are more realistic about what it will take to succeed, and appear particularly focused on societal impact and workforce development as two critical components of their future success. His comments come following the release of Deloitte’s second annual Fourth Industrial Revolution (Industry 4.0) Readiness Report, Success Personified in the Fourth Industrial Revolution. Pippos said the report, informed by a survey of more than 2,000 C-suite executives across 19 countries, identifies the traits that set apart the most effective leaders in addressing this shift. The survey revealed that societal impact (34%) is the most important factor business leaders use to gauge success—totaling that of financial performance (17%) and employee satisfaction (17%) combined. Interestingly, more than half of global executives surveyed (53%) noted their societal impact efforts resulted in new revenue streams—showing purpose and profit can coexist in Industry 4.0. Moreover, global leaders appear to understand the new skills required by Industry 4.0 jobs, however the fear of technology and automation isn’t necessarily causing executives to increase efforts to train their workforce. While 55% of leaders highlighted a significant mismatch between current skill sets and those needed in the future, 25% still prefer hiring new employees over retraining their current workforces. Furthermore, 57% believe the education system is inadequately preparing incoming workers—up from 35% last year. Pippos added that while there is no one recipe for success in how to deal with rapid industrial transformation, it can be helpful to understand how certain leaders are approaching this ever-changing environment. Pippos added that what these leaders have in common is that they are achieving greater revenue growth than their counterparts, in part, because they have conquered at least one, and sometimes more, of the dimensions required for success. • The “Social Supers” – These leaders consider societal initiatives fundamental to their businesses. They have demonstrated success in “doing well by doing good” by generating new revenue streams through socially or environmentally conscious products or services. “Social Supers” are more confident in their ability to handle the workforce challenges of Industry 4.0—they are 12% more likely to cite that their workforce composition is prepared for digital transformation and show far greater willingness to train workers (54% vs. 37%). • The “Data-Driven Decisives” – These leaders overcome strategic obstacles through a methodical, data-focused approach and are bolder in their decisions. They are confident in comparison to other leaders, with sixty-two percent strongly agreeing that they are prepared to lead their organisations in capitalising on the opportunities associated with Industry 4.0—almost twice as many as other leaders (32%) surveyed. • The “Disruption Drivers” – These leaders understand that investment in new innovations is required for growth and they invest in technologies with a concerted focus on upending their markets. These bold decisions have paid off—their technology investments have achieved or exceeded their intended business outcomes. “Disruption Drivers” are more likely to say they feel ready to lead in the Industry 4.0 era (45% versus 32%) and are more assured that their organisations are prepared to capitalise on the opportunities associated with Industry 4.0. 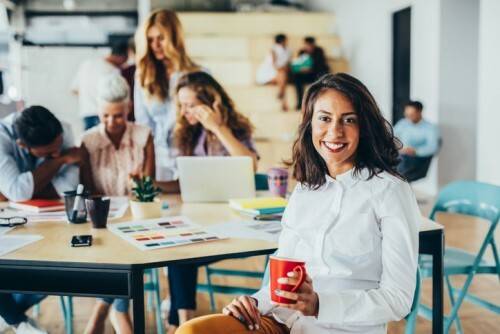 • The “Talent Champions” – These leaders know what skill sets their companies need and believe they currently have the correct workforce composition. They are aggressively preparing their companies for digital transformation, and embrace their responsibilities to train their employees for the future of work (51% versus 41% for all other respondents). Talent Champions also are more likely to invest in technologies to disrupt competitors (42% versus 32%).